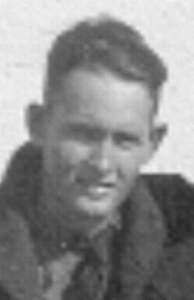 My father, Advance "Vance" Wheeler was born May 19, 1920. He was one of eight children, raised on his father's farm located on Rt. 6, Andalusia Covington County, AL. He left school after the six grade, then went to work full time on the family farm.Times were very hard for farmers and their families. On Oct 10, 1940, he was enrolled in Co. 4436, CCC Evergreen, AL.Vance Wheeler CC4-380112, was 20 years old when enrolled, he had gray eyes, black hair, and a ruddy complexion, he was 5 feet 9 inches. in height. His record of service reads 10/10/40 to 10/15/40, under War Dept. at Evergreen, AL conditioning, satisfactory 10/16/40 to 10/20/10, under War Dept. enroute to 9th C.A., travel, satisfactory. 10/21/40 to 3/27/41, under War Dept/NP32 and enroute to 4th C.A., Camp Lava Beds Co. 6411, Tulelake, Calif.
George Clyde Morton Company Commander Co. 6411. He was discharged on Mar 27, 1941, transportation furnished from Camp Lava Beds Co. 6411, Tulelake, Calif. Specific type of work performed: Road Construction, Grading, Hand Tools. After his discharged from the CCC, he went into the U.S. Army. I would like to learn more about his camp and work projects if possible. It would also be wonderful if someone could identify, the other gentlemen in the pictures with my father.